Judges have released additional sections of a helmet camera video of the moments before a British commando executed a wounded, unarmed Afghan insurgent in 2011. Footage of the killing itself, however, remains censored. Alex Blackman, a Royal Marines sergeant, was convicted of murder in 2013. 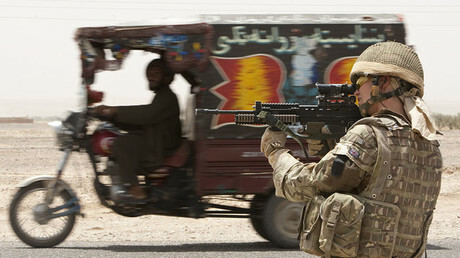 The killing took place during a tour of Afghanistan’s Helmand province in 2011. During the early part of the case he was known as Marine A to protect his identity. Blackman was given a minimum sentence of 10 years, later reduced to eight on appeal. His second appeal will be held next week due to additional evidence coming to light. The worst of the footage was barred from release at the initial trial after a government terrorism expert said it would become the most powerful terrorist propaganda tool ever released. The newly-released sections show the marines under Blackman’s command watching as an Apache helicopter strafes targets on the ground. The soldiers then complain that the hail of gunfire has missed and rant about the pilot not using a Hellfire missile. Blackman can be heard cursing the lack of accuracy. Later, the video shows marines standing out in a field examining the wounded body of an Afghan. The key parts of the video, in which the body is dragged to another area and the man is executed are still missing. 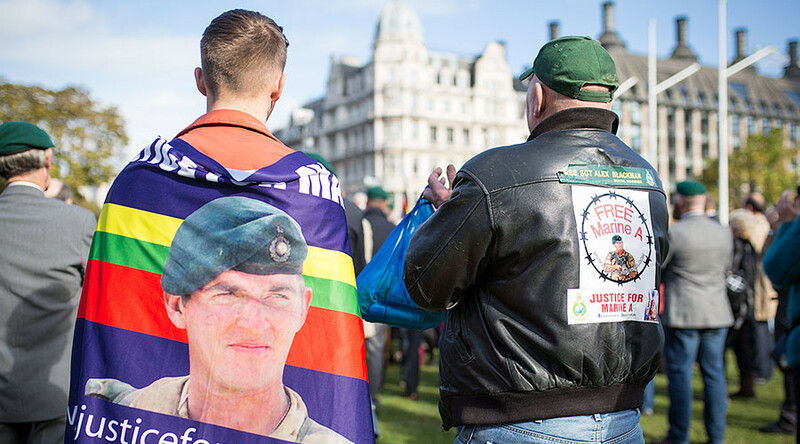 Despite the savage nature of the incident many former service personnel have rallied to Blackman’s cause, holding repeated demonstrations and lobbying for him to be released or shown leniency. In early December, a letter during the 11-month reinvestigation of the Marine A case from the Criminal Cases Review Commission’s (CCRC) Sally Berlin to the soldier’s lawyers was publicized. It suggested that the appeal could come to define UK war crimes trials in the future. “As a relatively recent ‘war crimes’ conviction, arising from an incident in a relatively recent conflict, the safety of this conviction and outcome of the case has a potential to be ‘landmark,’” Berlin wrote, according to the Daily Mail.